Ultem There are 10 products. 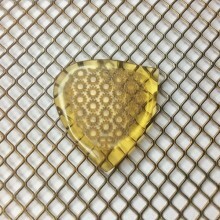 Plectre special model, amber Ultem . The 2 faces are engraved in texture for a good hold in hand. 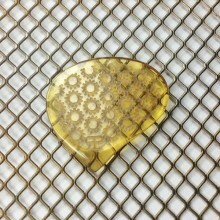 Plectre special model, amber Ultem 3 tips including a large tip cut in a helix. The 2 faces are engraved in texture for a good hold in hand. 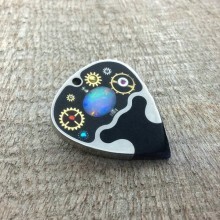 Opal collection: Pick model Jazz XL, titanium structure and tip and Ultem amber , parts, metal gears are included in the decoration + an opal gemstone of 0.38carats. The back face is engraved in texture + logo. See example in picture please. .. 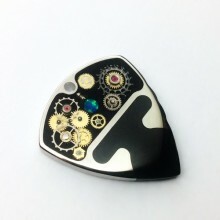 Guitar pick Riki 3 tips large model "Mastodon", black ultem material. Logo in embossed print on the front and engraving on the back for good handling. 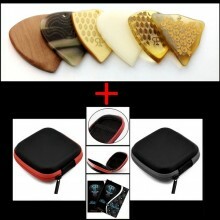 Guitar pick Riki 3 tips large model "Mastodon", Ultem amber material. Logo in embossed print on the front and engraving on the back for good handling.